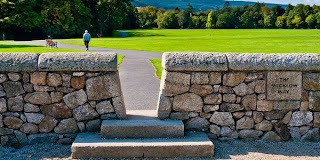 Marlay Park / Marley Park is located in Rathfarnham which is a short distance from and an easy commute to Dublin Central Hotels and Guesthouses, this means you can enjoy the best of both worlds, party in the country during the day and evening and return for some city living at night. This un-believable event features Kraftwerk, Pheonix, Vampire Weekend, HotChip, Villagers, Yeah Yeah Yeahs, Foals, Jake Bugg, Tom Odell to name but a few! The five stages of Longitude – and August shows for Marlay Park? The licence application for the capital’s newest festival reveals more details of what to expect in Marlay Park in July. 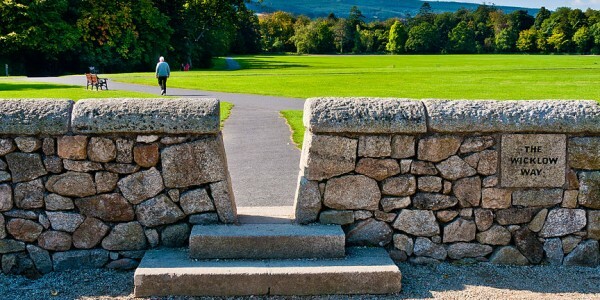 Those heading to Longitude in Dunlin’s Marlay Park in July can look forward to spending their time wandering around five stages, according to the licence application lodged by Festival Republic, on behalf of MCD, with Dún Laoghaire Rathdown County Council. According to the application and event management plan, we can expect “three music stages and two multi arts stages”, with all the stages bar the main stage to be tented. There is also a “children’s area” per the site drawings attached to the application. The site capacity is 9,999 people and they’re expecting a 50/50 male/female breakdown. Music will run each day from 2pm to 11pm and there will be no re-admission to the site. Security contracts have been awarded to UK-based companies SLS and Specialized Security and the security guidelines are very much in keeping with the post-Swedish House Mafia shows at Marlay Park last year. The letter of consent included with the application from Dún Laoghaire Rathdown County Council to MCD, giving them permission to apply for the licence, refers to a contract agreement from May 2006. It would be interesting to see that document and the terms, conditions and duration of that agreement. It’s also interesting to note the existence of another licence application from MCD for “concert consisting of music performance” at Marlay Park on August 3 and 4. Application OEL 02/13 was lodged on May 24 and the relevant application is not currently online. Again, as has become the norm this summer, it’s Festival Republic who are taking the lead, a further sign of the Live Nation takeover of the Irish live music business. Thanks to its investment in Festival Republic, Live Nation now has a hand, act and part in the Phoenix Park shows, Longitude, Oxegen and, most famously, the Electric Picnic. There is also the not insignificant matter of Dublin’s O2 and it’s believed that the company are the front-runners to buy Harry Crosbie’s stake in the venue from NAMA. It’s been a long time coming and they’ve done so with great stealth, but Live Nation are now very significant players in the Irish live music market.